Citysightseeing Tallinn invite you to see all the best sites Tallinn has to offer with our famous open-top bus tour. Our hop-on, hop-off service allows you to tour Tallinn at your leisure. Our tours have multilingual commentary in 8 languages and last about 50-75 minutes depending on the route. 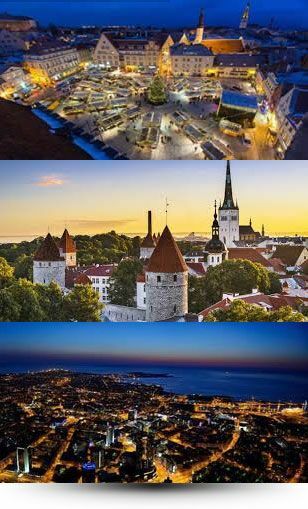 We have 18 stops around Tallinn including Mere Pst., Toompea, Russalka Monument, City Harbour A B C D Terminals and Cruiseship Terminal, Pirita, TV Tower, Rocca al Mare, Open Air Museum. Learn more about our tour options including fares, top-sites map, and timetables. A 1 day tour ticket costs just 25 EUR. The best way to book is right here on this web site. Book online now and secure your ticket. 1. Duration of the tours is 50-75 minutes depending on the tour you choose..